I released a new zine - Vegan Spa Day! I challenged my self for Int'l Zine Month with a new size and format. This is a zine I wanted to put out for awhile, if you have read any of my previous zines you know I like natural beauty recipes. 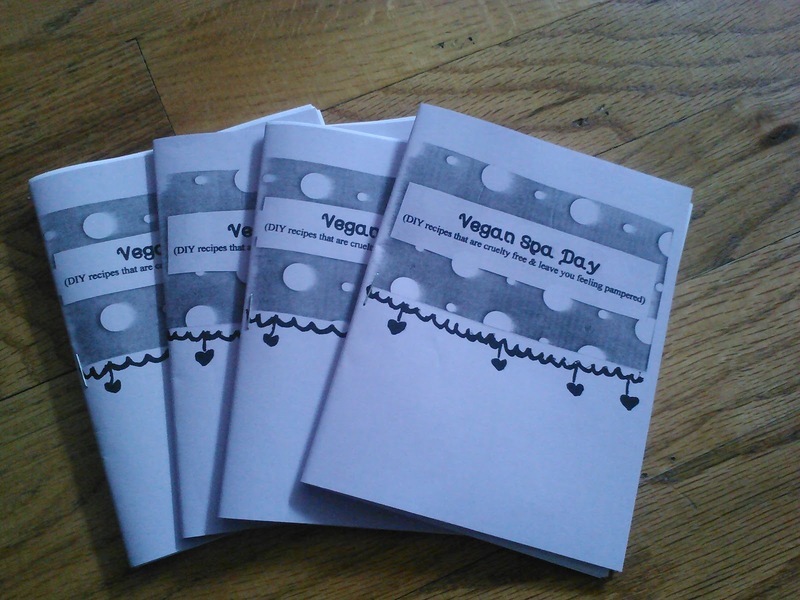 This zine has over 20 recipes that are easy to make with easy ingredients. Go pick up a copy today.